Sergey Naryshkin and Xi Jinping have described the Trans-Pacific Partnership treaty as an attempt to create a closed and secretive structure that would replace the World Trade Organization, adding that Russia and China are strongly opposed to it. The meeting between the Russian State Duma speaker, the Chinese president and MPs took place in Beijing on Thursday. 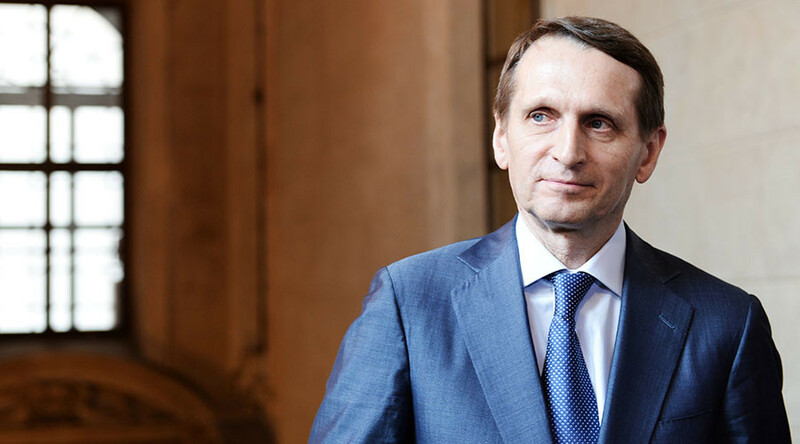 The meeting itself was closed to the press, but Naryshkin and the head of the State Duma Committee for International Relations, Aleksey Pushkov, disclosed its highlights to reporters in subsequent comments to Rossiyskaya Gazeta daily. According to Pushkov, top Russian and Chinese officials were critical of the US-led Trans-Pacific Partnership (TPP) trade agreement. Xi Jinping commented on Barack Obama’s recent remarks on global commerce – in which he said that the rules of international trade must be imposed by the United States and its allies, and not China – by saying that in his view, such rules must be agreed jointly by all the nations of the world, not any particular one. The Russian Duma chief said that the TPP was being formed in an atmosphere of secrecy, and that it could be described as a closed structure because neither Russia nor China have been invited to participate in the process. Naryshkin also expressed concern over the possible future replacement of the WTO by the TPP and similar economic blocs, saying that Russia and China are jointly opposed to such a scenario. “Universal rules of international trade must be discussed in no place other than the WTO, and all interested parties must take part in this discussion. Russia and China will continue to defend this position in various international organizations,” Naryshkin told reporters after the meeting. The TPP is a proposed regional free-trade agreement which was signed in February this year by 12 states in the Asia-Pacific region, including the US, Australia, Brunei, Canada, Chile, Japan, Malaysia, Mexico, New Zealand, Peru, Singapore and Vietnam. The agreement has not yet come into force as it has to be ratified by all member-nations. In late 2014 Russian President Vladimir Putin said that the Trans-Pacific Partnership agreement would not be effective if it excludes key regional players such as Russia and China. “Obviously, the Trans-Pacific Partnership is just another US attempt to build an architecture of regional economic cooperation that the US would benefit from,” the Russian president said in an interview with the Chinese mass media in connection to his official visit to Beijing. “At the same time, I believe that the absence of two major regional players such as Russia and China in its composition will not promote the establishment of effective trade and economic cooperation,” the Russian leader added. In December 2015 Putin proposed to form an economic bloc that would act as an alternative to the TPP and asked the government to start making contact with Asian countries. "I suggest that we and other Eurasian Economic Union countries should kick-off consultations with members of the Shanghai Cooperation Organisation [SCO] and the Association of Southeast Asian Nations [ASEAN] on a possible economic partnership," Putin said as he addressed the Russian parliament.